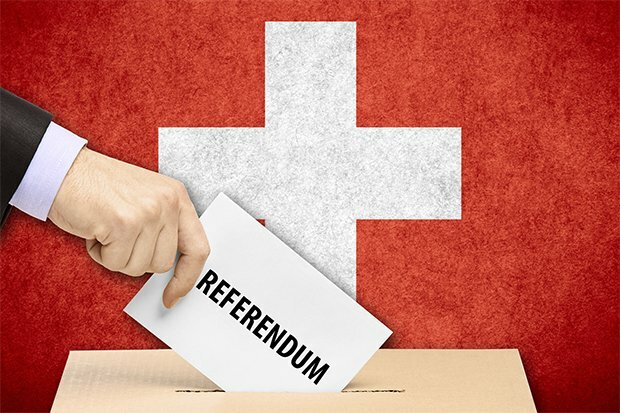 Swiss citizens said no to an anti-science referendum on food sovereignty. It is the best news from last week. Finally, the fake food sovereignty, which seems every day more like a health freak bias, was rejected to the sender as well as the no-GMOs rhetoric. We hope that other countries, including Italy and all Europe, can learn the lesson. For too long, expensive crusades against consumer’ interests have been pursued, misleading them with fake protection made of bans, over-regulations myths and demonisations. Obviously, the reasons used by the advocates of the referendum sounded like a hymn to ethics and sustainability. Their vision of a diversified and sustainable local agriculture based on family farms, GMO-free, with an emphasis (false) on the creation of jobs and competitive wages in food production did not convince Swiss citizens. They also promised a utopian transparency in the internal market and a huge price adjustment in the year 2019 for farmers. Finally, their proposal stemming from the Swiss Green Party aimed to impose further environmental and social standards on food production. All the initiatives would have had a catastrophic impact on both producers and citizens. Let us explain. Businesses, forced to produce hundreds documents to demonstrate compliance with the established sustainable and transparency criteria, would have been submerged with bureaucracy. Criteria that in Switzerland are already implemented and strict. They would have had a negative impact on the final prices of agricultural products, resulting in a loss of competitiveness and purchasing power for consumers. Finally, they would have had a negative impact on international trade, forcing Switzerland to renegotiate most of the treaties in force and risking heavy penalties. Most Swiss consumers demonstrated their absolute refusal to new direct and indirect costs, aware that sustainable and quality agriculture can be maintained, without introducing further rules and economic restrictions. In light of this, it seems strange that the Parliament is questioning the agreements with South East Asian countries (especially Malaysia and Indonesia) because some extremist politicians’ aim is just to discriminate palm oil. As often happens, the consumer is more aware and pragmatic as its policy makers. The failure of the referendum on food sovereignty is a strong warning against the ethical consumerism that, in the last 20 years, has affected our politics, our wallets and our tables. We hope it will be a strong signal and will bring us back to the healthy principles of free market and free choice. Not only against food sovereignty, but also against useless prohibitions and the carcinogenic nutritional bureaucracy.